You’ve made it through the malls, and gotten all the gifts - now it’s time to get them wrapped! Follow these simple steps and your presents will be wrapped perfectly! One of the most wonderful times of the year is fast-approaching. With less than two days until Christmas arrives, some folks are still scurrying to find the perfect holiday gifts for family and friends and gifts for those unexpected guests. As the hours pass and we inch closer and closer to Christmas, it’s time to take those gifts you were purchased out of your best hiding spots and get them wrapped and ready to place under the Christmas tree. Although shopping for gifts can be an adventure in itself, one of the most stressful parts is the gift wrapping! Although it’s become quite popular to toss presents into a festive gift bag with some tissue paper, not all gifts can easily be stuffed into a square bag - it just wouldn’t be the holiday season if things were that simple! When faced with this dilemma, you have no choice but to wrap your gift - oh no! From strangely shaped stocking stuffers to giant gifts you plan on placing under the Christmas tree, how on earth will you ever wrap these gifts?! Are you that person that doesn’t really know how to wrap gifts and your family can already tell who the gift is from just from the wrapping? Wrapping presents is not always easy but don’t worry! 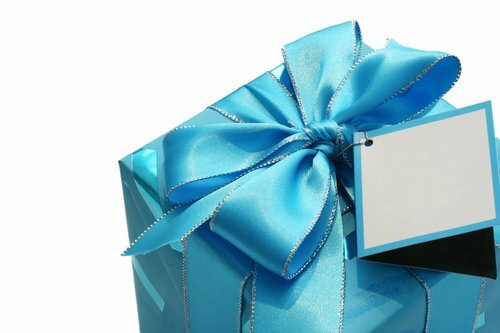 Whether you are wrapping a new gift or re-gifting, we’ve got you covered with tips and how-to’s to help you to become a wrapping professional with our guide to gift wrapping made easy. You sure will need some paper to wrap with. Medium weight paper is easiest to deal it. However, the type of paper and design is all dependant on your own preference. Clear Scotch Tape or a festive holiday tape are both acceptable. The clear Scotch Tape will “disappear” in the wrapping paper. Rather than ripping and tearing apart of the paper, use scissors with a sharp edge to help give you precise cuts and also help you cut the right amount of paper needed. Gather a variety of ribbons or bows to add some flavor and decoration to the gift. Many stores offer gift boxes with your purchases. Definitely take advantage of these boxes to help make your gift wrapping easier. Plus, it’s more fun to unwrap and you have to wait a little longer to see what you actually received. Tip: Make sure to remove any and all price tags from the gifts before wrapping. If the tag cannot be removed. Use a black marker or sharpie to black out the price. First, roll out roughly 3 feet (depending on size of the gift) of paper face down on the table or work space. Measure out the width of the box. Measure out the length of the box. While measuring, mark the spots where there is enough paper to cover the entire box and then add about an inch to each side. Cut the paper to separate that piece from the rest of the roll. Place your gift box in the center of the piece of paper with the bottom facing up. Bring the paper around the sides of the box. Some boxes may be rectangle so you want the seam of the paper to run along the length of the box. Depending on how much paper was cut and the size of the box, the paper may overlap where the two ends meet. Mark the place where the paper overlaps at about an inch. Choose the first side you would like to fold. While holding the box firmly to avoid it from moving, fold the sides of the paper along the edges of the box. Crease the diagonal edges of both flaps. Pull one flap towards the center of the side. Place the other flap over the first flap. Use a small piece of tape to tape the two flaps together. Use additional pieces of tape to hold together the creases, if needed. Place the gift on the side that was just put together. Repeat steps 10-13 for the other side. Turn the gift right-side up. Place the gift bow on top of the present. Make sure the length of the ribbon is long enough to go around the gift. Place the ribbon on top of the gift and center it. Wrap it to the bottom and cross the two ends past each other. Pull tight. Turn the gift to lift the ribbon up the two remaining sides. Pass the two ends under the middle of the ribbon. Tie a bow at the top. (Tip: Use scissors to pull the sides of the ribbon to curl it. Use holiday name tags or gift tags. Write the name on the wrapping paper. Include a card with the gift. 19. Repeat all steps for remaining gifts. Ta-da! You’re a professional gift wrapper! Now, your family and friends will be guessing which gift is from who. It also sure will be exciting for your giftee to open their present and rip through all the hard work you put into wrapping it. Be sure to check out the short video below for a visual step by step of how to wrap a present. Video courtesy of Real Simple. Subject: LongIsland.com - Your Name sent you Article details of "All I Want For Christmas Is...To Perfectly Wrap A Present! - Gift Wrapping Made Easy"